American Airlines will be heading out to Mérida from Dallas starting on March 3, 2016. There will be five weekly nonstop flights to this vibrant and charming Mexican city, which offers a fascinating mix of Mayan heritage and European colonial influences. Flights are scheduled to leave from Dallas/Fort Worth International Airport at 12:30 p.m. and arrive at Manuel Crescencio Rejon International Airport at 2:50 p.m. Return flights depart from Mérida at 3:50 p.m. and arrive in Dallas at 6:20 p.m. Tickets are now on sale. Though this is a new route for American, the airline is no stranger to Mexico. It already flies to 21 destinations in the country. American has also been steadily expanding in South America and around the world, as well as investing $2 billion in upgrades. What does that mean for travelers? Some of the upgrades will take place behind the scenes, but there are others designed specifically to improve the travel experience for passengers. On-board changes include new lie-flat seats, more power outlets and enhanced entertainment options and features. The carrier is also revamping its Admirals Club lounges worldwide, giving them a modern feel and design. There will be upgrades to the food, too, with healthier choices available, and new cocktails. You can get a one-day pass for the Admirals Club for $50, a 30-day pass for $99 or a yearly membership for $500 or 80,000 miles. Prices are approximate and can vary depending on your elite status and other variables. If you don’t want to pay at all, some AAdvantage credit cards include free membership, such as the Citi/AAdvantage Executive World Elite MasterCard, which also includes a 75,000-mile sign-up bonus. Mérida is the capital of, and largest city in, the Yucatán. Its rich Mayan heritage blends with European influences, making an interesting cultural mix and a fascinating destination. The city is also known for its fun nightlife, delicious food and friendly people. Plaza Grande is a great place to relax, have a drink and brush shoulders with locals. 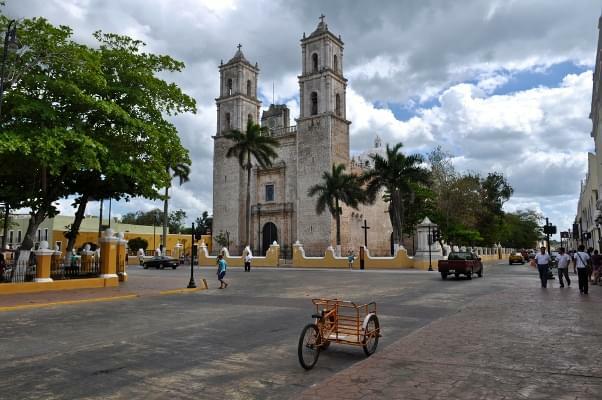 This colonial-style square offers a majestic architectural backdrop—with impressive buildings such as the Cathedral, Casa Montejo and the Palacio Municipal—and free WiFi and charging stations. On the weekends, some of the nearby streets are closed to traffic, allowing cafés and makeshift theaters to set up camp. If art interests you, don’t miss the Museo Fernando García Ponce-Maca, a world-class art museum located in the city. 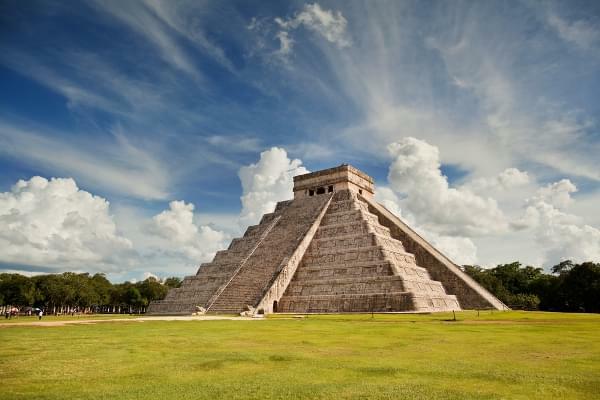 The area also offers several well-preserved Mayan archaeological sites, such as Dzibilchaltun and Chichen Itza. Both make for great day trips outside the city. There’s also plenty of beach and sun just outside of town. The warm turquoise waters of X’batún Cenote have become a favorite with travelers looking for swimming, snorkeling or scuba diving. It’s a little off the beaten path, but worth the effort.